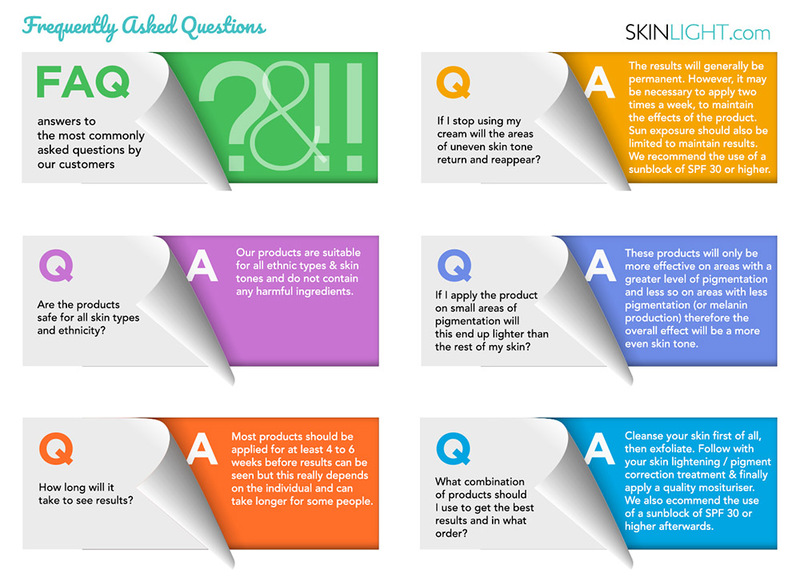 A: Most products should be applied for at least 4 to 6 weeks before results can be seen but this really depends on the individual and can take longer for some people. 3. How much and how often should I use the product? Read the labels for full details but our skin care treatments should usually be applied every day until the desired results are achieved. It may then only be necessary to use 3 times a week to maintain the results. Our products are suitable for all ethnic types & skin tones and do not contain any harmful ingredients. International orders are shipped by International 1st Class Airmail. When dispatched, deliveries within the UK usually take about 2 to 3 business days to arrive. Deliveries to Europe normally take 5 to 7 business days. Deliveries to other countires outside Europe normally take approximately 7 business days. *Most orders are dispatched the next day but this is not guaranteed. (In some cases this can take a little longer if an item is out of stock or there is high demand). However, we will always send every order out as soon as possible. We ship to the UK, Europe, USA, Australia & other selected countries. Please feel free to contact us using your preferred method of communication where our team will be happy to help. Please click here to complete our simple web-form. We hope to respond to you within less than 8 working hours, however in times of high demand responses can take up to 24 hours. Disclaimer: If you are on any prescription medication or undergoing any cosmetic surgery procedures, we recommend that you consult your GP or Surgeon before using any of the products mentioned above. Any advice provided is based purely on product knowledge and industry experience. It should not be taken as a professional or specialist opinion. If in doubt, please always consult your doctor or skin specialist.